The career of British horror writer James Herbert, who died earlier this year, somewhat parallels that of Stephen King. Both published their first novels in 1974 – Herbert’s The Rats, King’s Carrie. Although Herbert was never as prolific as King, he continued to write and publish until shortly before his death, having sold more than 50-million copies in multiple languages. Unlike King, Herbert saw only five of his novels adapted for the screen – four features and one mini-series – with mixed results. The Survivor (1981), directed by David Hemmings in Australia, is a passable ghost story which plays like an extended Twilight Zone episode; Robert Clouse’s Deadly Eyes (1982, based on The Rats) is a cheap and embarrassing Canadian production (with dachshunds disguised as the giant rodents); Lewis Gilbert’s Haunted (1995) is a moody period ghost story; while Carlo Carlei’s Fluke (also 1995) is an odd reincarnated-as-a-dog tale. 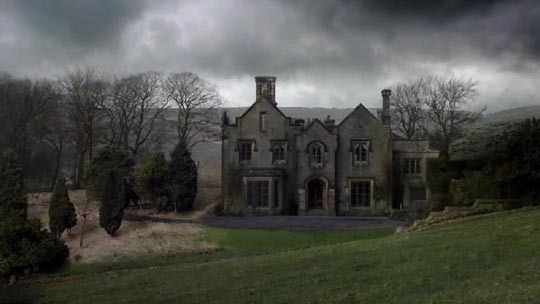 The most recent adaptation of Herbert’s work is the 2012 BBC three-part series based on the author’s second-last book, 2006’s The Secret of Crickley Hall, adapted and directed by Joe Ahearne, writer-director of, among others, Ultraviolet (1998, a modern take on vampires) and Apparitions (2008, demons). Initially, Crickley Hall seems very conventional compared with Ahearne’s earlier work, a layered ghost story with two parallel time lines (present day and 1943) which are built on a collection of familiar narrative elements. The story’s influences seem to include The Shining, Don’t Look Now, M.R. James’ classic short story Lost Hearts, Guillermo Del Toro’s The Devil’s Backbone and J.A. 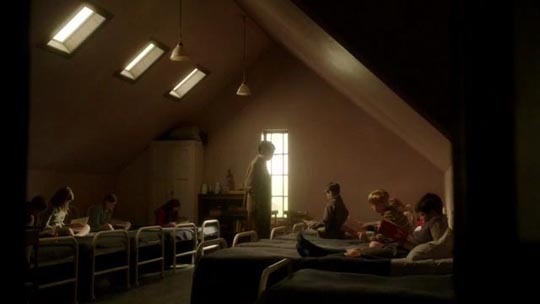 Bayona’s The Orphanage, plus a whole tradition of British horror which centres on dead children. In the present-day storyline, the Caleigh family are facing the one-year anniversary of the disappearance of five-year-old Cam. 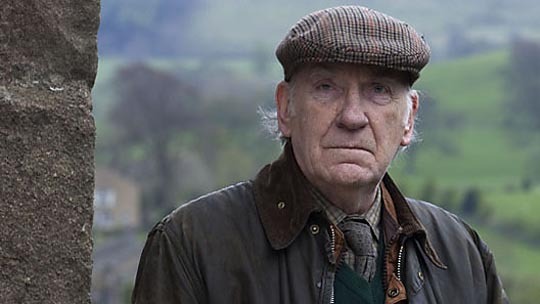 To mitigate the emotional effects, father Gabe (Tom Ellis) takes a job up north and the family move for a few months to a big old country house called Crickley Hall. 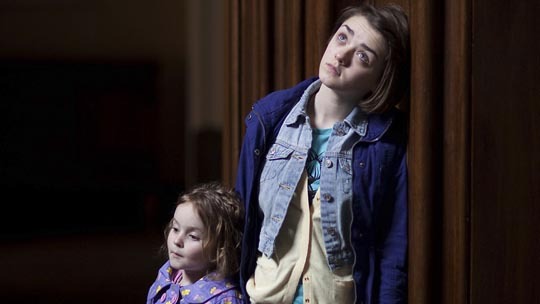 It’s one of those “can’t believe we could get it so cheaply” places and not surprisingly there’s an old caretaker who offers some cryptic advice about it not being a good place for the two young daughters, little Cally (Pixie Davies) and adolescent Loren (Maisie Williams). 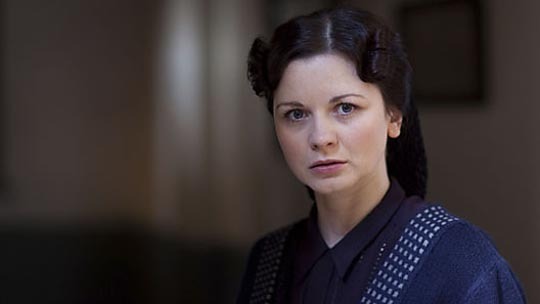 Sounds are heard and Cally encounters a figure who strikes her with a thin cane. But for Gabe, the most troubling thing is that his wife Eve (Suranne Jones) says that she’s heard Cam’s voice, that he says he’s not dead but in a dark place surrounded by dead children. 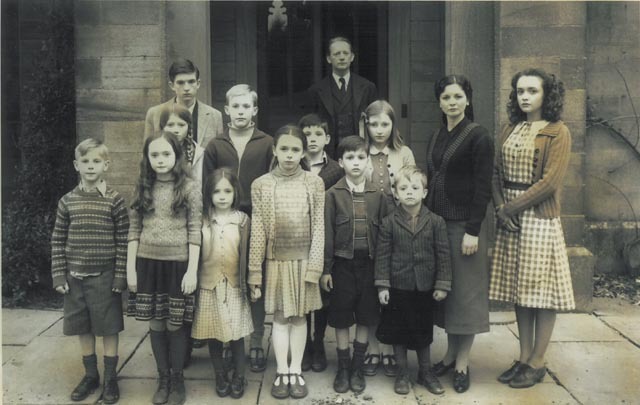 In parallel with this story, we see the house in 1943 when it was an orphanage run by Magda Cribben (Sarah Smart) and her brother Augustus (Douglas Henshall), an upright Christian pair much admired for their charitable activities. We’re introduced to the Cribbens through the eyes of Nancy Linnet (Olivia Cooke), a young woman hired as a teacher for the children, who herself is an orphan with a painful past. 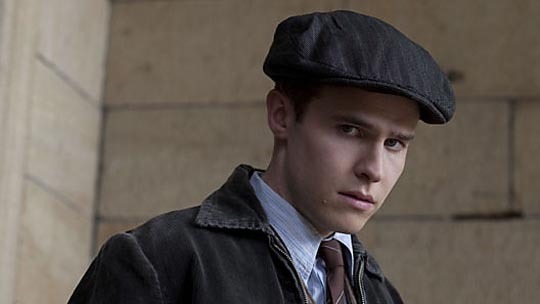 Sensitive to small details in the children’s behaviour, she quickly realizes that they are being abused by the psychologically damaged Augustus and, with the young handyman Percy (Iain De Caestecker), she tries to expose what’s going on. One of the series’ real strengths is the way it uses the present-day ghostly manifestations only as a device to reveal the real horror of what corrupt adults are capable of doing to children. The 1943 storyline is far more chilling than the modern ghost story, but at the same time invests the present-day with deeper emotional resonance as the Caleigh family eventually have to come to terms with what happened to Cam, the truth of which they eventually learn through this encounter with the past. As with any genre narrative, what really counts isn’t the bare bones of the story; it’s all in the way that the story is told. And The Secret of Crickley Hall is very well told indeed. Ahearne keeps things quite simple, allowing the characters and events to create the growing atmosphere of dread without a lot of visual trickery to evoke jump scares. Paradoxically, it’s his almost matter-of-fact, naturalistic approach which allows the psychological horror to breathe. Peter Greenhalgh’s photography is clean, avoiding over-emphatic shadows, and Dan Jones’ music underscores without forcing the viewer’s responses. But what really carries the story and gives it an increasingly intense emotional dimension is the excellent cast of mostly TV actors. Nothing is over-played and the characters draw the viewer in, creating a fine addition to the traditional English ghost story. Standouts are Olivia Cooke as Nancy, and Pixie Davies and Maisie Williams as the two girls, with Sarah Smart and Douglas Henshall both excellent as the sick hypocrites running the orphanage. The BBC disk comes with no extras, but the 16:9 image is attractive and the stereo sound is subtle and uncluttered. This entry was posted in Review and tagged Adaptation, British Television, Ghosts, Horror. Bookmark the permalink. 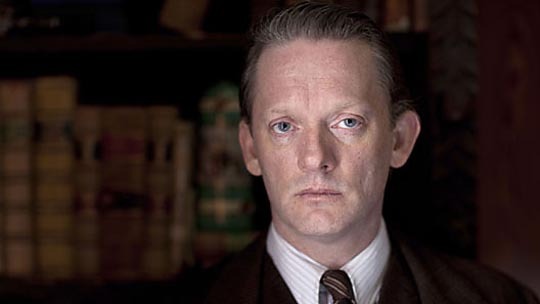 I remember watching this, Douglas Henshall above all put on an excellent performance but knowing about him from other people who have worked with him recently in Shetland, he seems too gentle and kind hearted in reality and this deep down,must have hurt him, the way he had to be sadistic to that little Jewish boy,especially as he himself is Jewish and appearing in a ghostly form,striking Maisie Williams with a cane. I like to think that in turn, he held them close to him compassionately and debriefed them as they say in military terms as this must have been quite traumatic for all three.